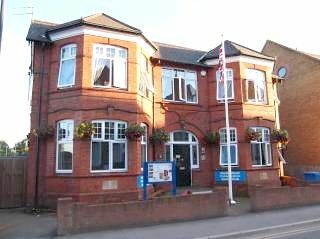 The Maidenhead Conservative Club was founded as the Maidenhead Conservative Working Men’s Club and is essentially a social club for its members. Whilst we do have ties to the Conservative Party we are not in any way managed or controlled by the Party. Funds raised in our Club are used as in any social club to support the general running of the Club. The members are the owners. We are proud to be associated with our local MP and Prime Minister, Mrs Theresa May, who on occasions visits our club, and attends some of our functions. New members are very welcome - if you would like to join our club and find out what a great crowd we are please see our Membership page. You do not need to be a Conservative supporter, being active socially is more important. Room Hire Available from £50 per half day, 12 seat meeting table or 24 seat theatre layout, call 01628 620 579 for more details. We are very pleased to have been awarded 'Club of the Year 2017' by the Windsor, Slough and Maidenhead branch of CAMRA. Sky Sports and BT Sport are now installed. You can watch the best live coverage of all your favourite sports here. 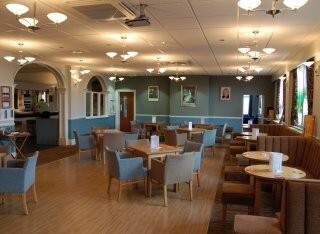 Wi-Fi is also now available to members and their guests, just ask at the bar for the latest password.